High strength resinous and fiber-reinforced repair mortar. Contains stainless microspheres, synthetic resins, special additives, and silica fume. It presents exceptional adhesion to the substrate. It does not shrink and it is highly thixotropic with outstanding workability. 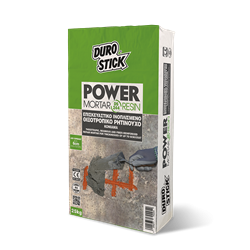 Suitable for high-demand concrete repairs on horizontal and vertical surfaces, even on concrete roofs, without the need for any formwork. It restores all construction imperfections of concrete. Classified PCC R4 as concrete repair product, per EN 1504-3.